Are Advertisers Ready to Embrace Baby Boomers? Is it time for advertisers to cast aside 50 year-old assumptions about 50 year-olds? Indeed, wrote Nielsen, 8 of the 10 most frequently visited web sites for 18 to 34-year-olds are the same for baby boomers, the generation born between 1946 and 1964. Nielsen also reported that the boomers spend 38.5 percent of Consumer Packaged Goods (CPG) dollars, yet less than 5 percent of advertising dollars are targeted toward the 35 to 64-year old age group. Baby boomers number 79 million, according to USA Today, the largest age demographic in the nation. Are advertisers missing an opportunity with this enormous group? Are marketers still wedded to the notion, which became conventional wisdom some 50 years ago during television’s early days, that most advertising dollars should be spent in pursuit of the youth market? Or are we about to witness a shift in advertisers’ approach to older consumers? 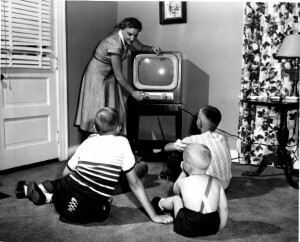 The television audience is getting older as well. Forbes recently reported that the median viewing age for the four largest national broadcast networks is 51 years-old. The average age increase reflects in part the dwindling numbers of young people who watch the networks. As a result, TV’s share of the advertising pie continues to shrink. A joint survey by ANA (Association of National Advertisers) and Forrester Research of more than 100 national advertisers showed that advertisers allocated only 41 percent of their media budgets to television in 2009, down from 58 percent in our 2008. But that same survey also showed that about 80 percent of advertisers believe the 30-second spot will still be around in 10 years. So as brands reassess their marketing mix, with branded entertainment and the Internet playing a bigger role, will they also reconsider their demographic strategy? Instead of focusing predominantly on 18 to 34 year-olds, will advertisers also try selling more to older audiences? Alan Wurtzel, president of research and development at NBC, told Forbes that advertisers are beginning to take a second look at this demographic. Most of all, it should make advertisers happy, as they see their sales increase.